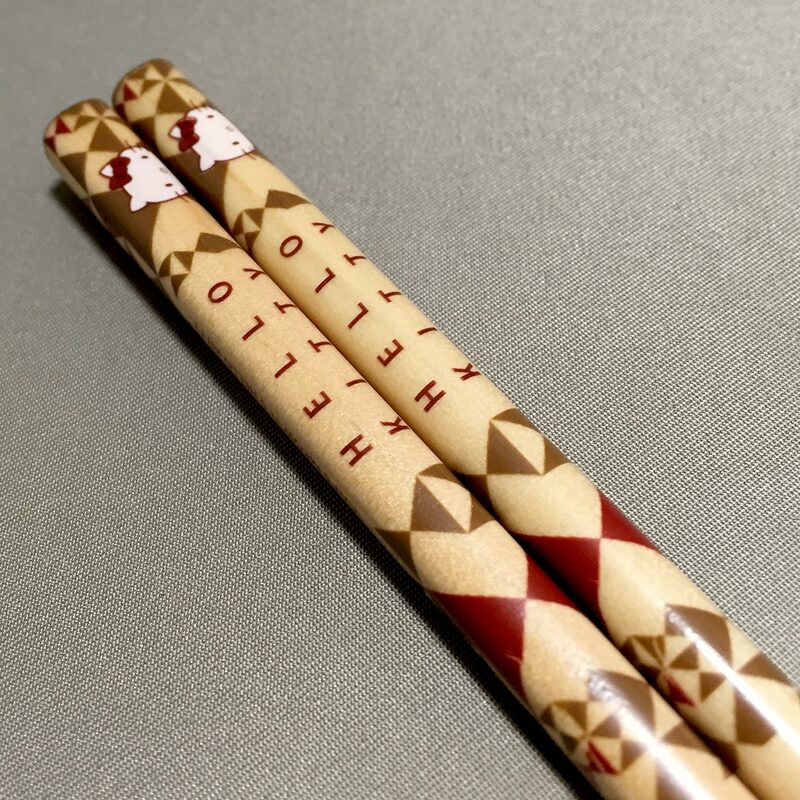 The pair of chopsticks is printed with patterns that resemble ‘Yosegi-zaiku’ （寄木細工）, a traditional Japanese mosaic pattern made from wood veneer well know from the Hakone area in Kanagawa Prefecture. The tip is textured to make it easier to pick up food. 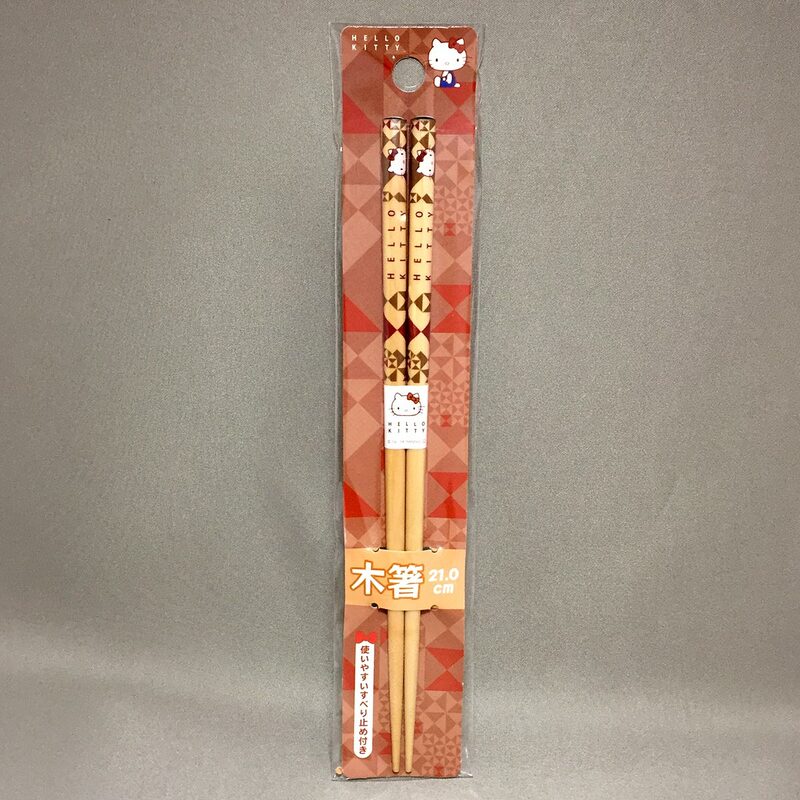 This nice pair of wooden chopsticks is 21cm long, so it’s not a length that is suited for kids. 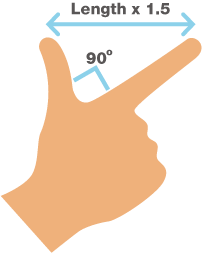 A better way to find the best length of chopsticks to hold comfortably, is to measure the length between your index finger and your thumb when your hand is making an L-shape (refer to the image below), and multiply that by 1.5. 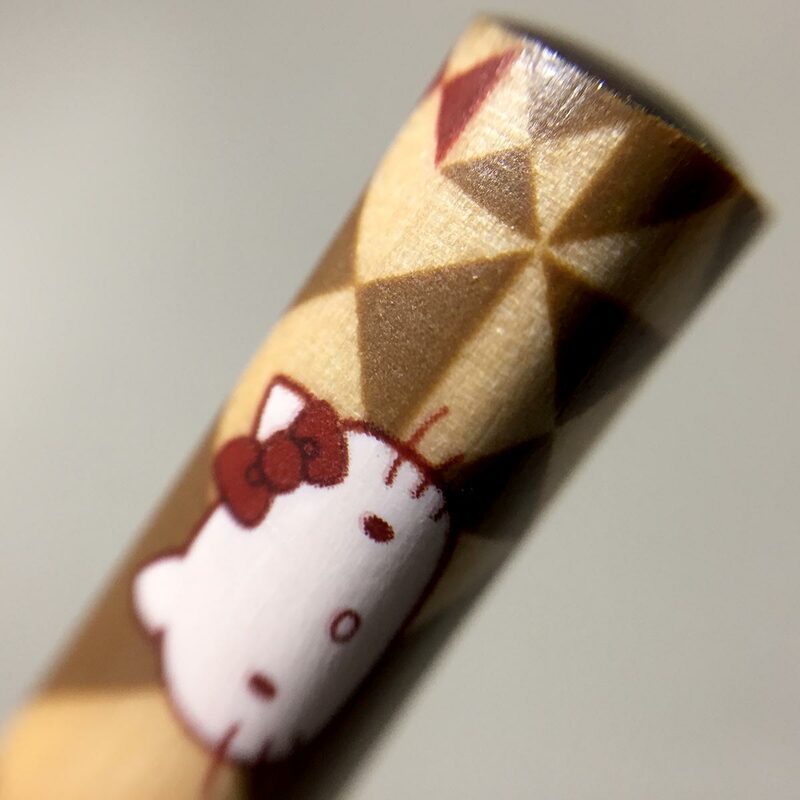 The Hello Kitty Wooden Chopsticks is a licensed product from Sanrio (Sanrio seal on the back packaging). – After use, wash with warm or cold water and wipe dry with a soft cloth. 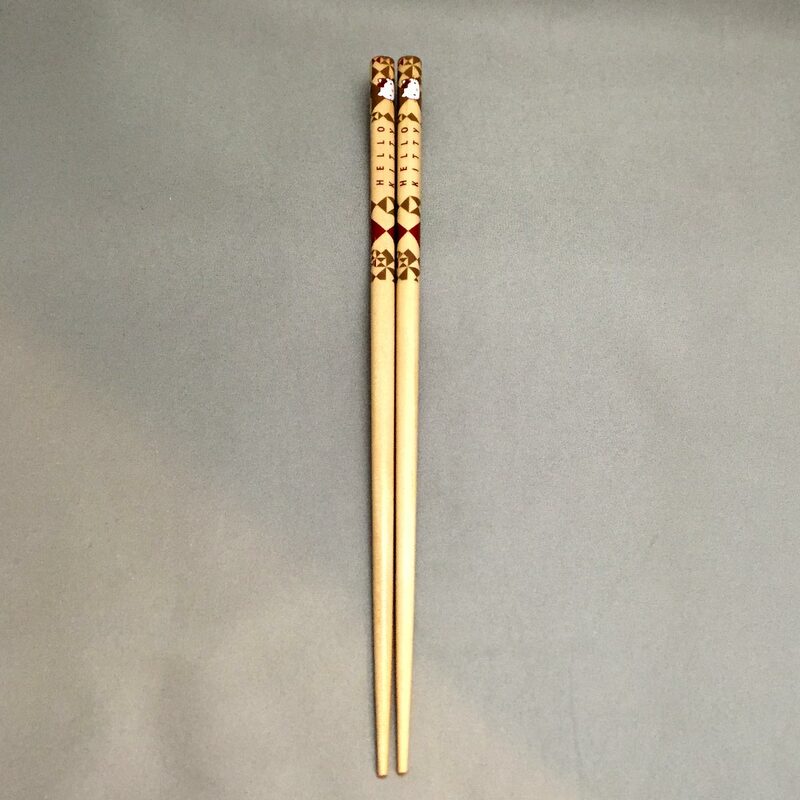 – Do not leave the chopsticks soaked in cold or boiling water for long periods of time. After washing, remove from water and allow to drain and air dry. 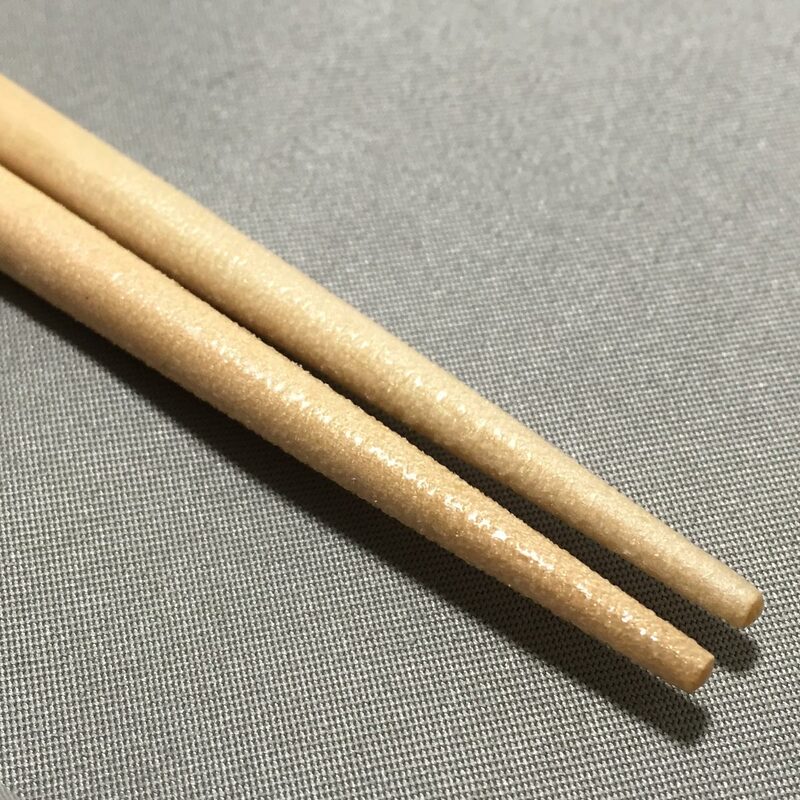 – Do not use scourer or scouring powder on the chopsticks as they may cause scratches to the surface. 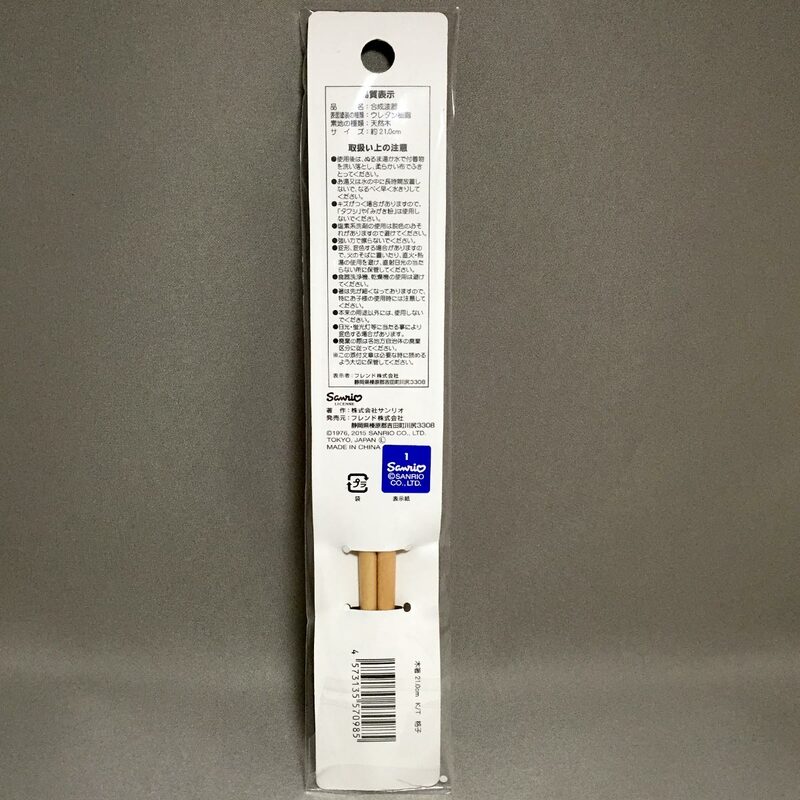 – Do not use chlorinated detergents on the chopsticks as it may cause the colors to fade. – Do not strongly rub the chopsticks. – Keep away from fire or other heat sources and store away from direct sunlight. 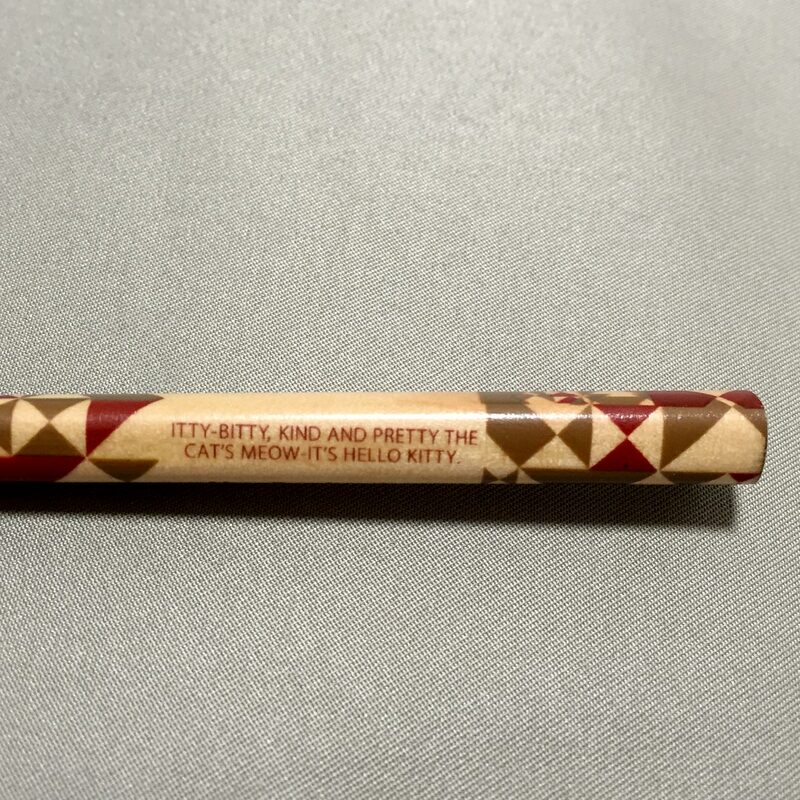 – For children, use with care as the tips of the chopsticks are pointed. ※ Retain the packaging for reference. 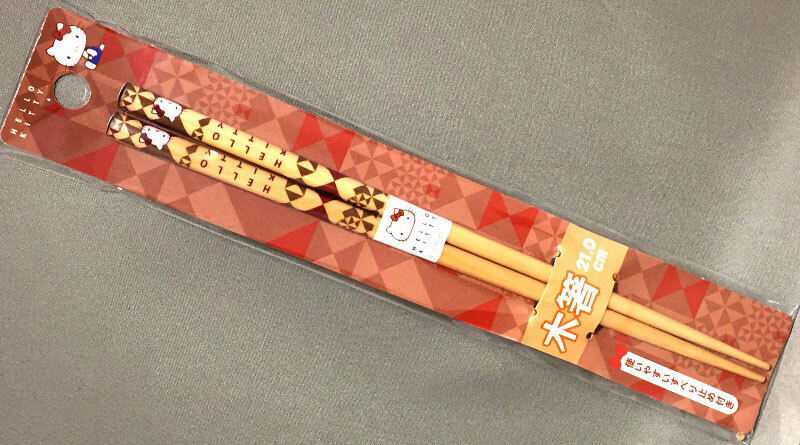 For 100 yen, this pair of chopsticks well made and easy to grip. 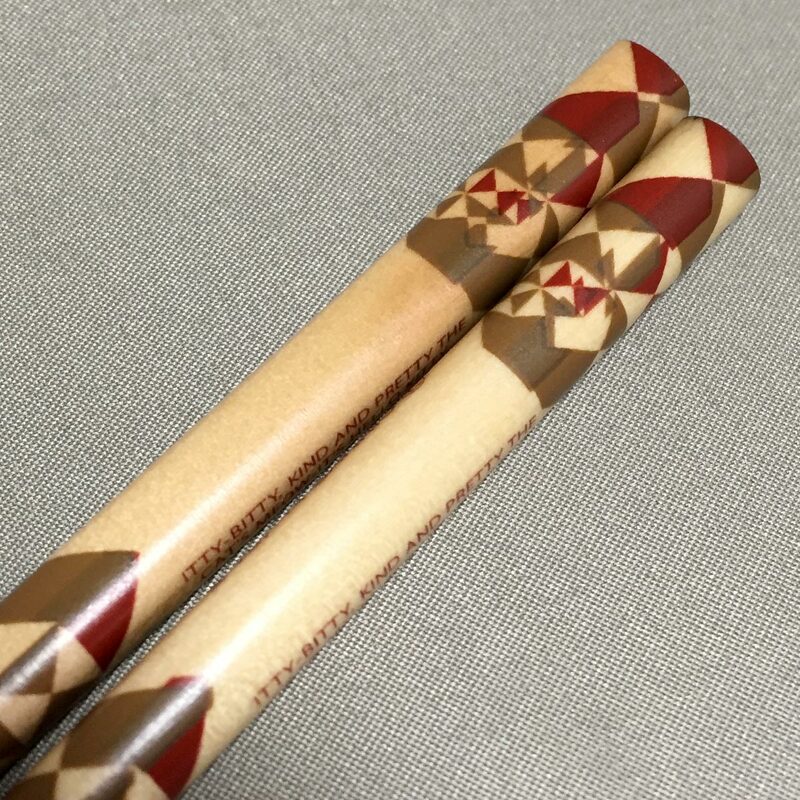 The printing on the chopsticks is simple, though the rear of the chopstick top area shows the printing overlapping, which is not a big deal, but just some fine details I noticed. Removing the sticker that was binding the chopsticks together was a pain as there was a lot of residue left behind. A loop of paper to hold them together would have been sufficient. I learnt a lot reading up on how to find the best chopstick length, so this pair of chopstick would be too short for me.